"Nixon himself is in danger of going down in history as a baddie, the victim of a sulphurous and enduring hatred of the media, especially on the East Coast. In fact his sins were more venial than those of FDR, Kennedy, LBJ or Clinton, and the reason he fell was that he loyally stood by erring subordinates rather than drop them. 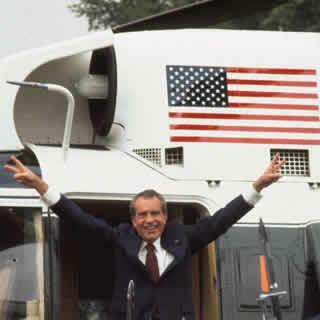 Nixon was an old-fashioned patriot and preferred to resign rather than subject his country to the drama of impeachment: had he defended himself he would almost certainly have survived, like Clinton. His determination to end, if possible, the quarter-century of Cold War with China was a statesmanlike decision of the first magnitude, and the energy and persistence with which he pursued it were the hallmarks of a great president."